The display was small, but it was visually pleasant and there was easy access to all the different items designed for this series. I liked how there was an actual sample out on display, so you could examine the notebook up close, and actually hold it in your hand. 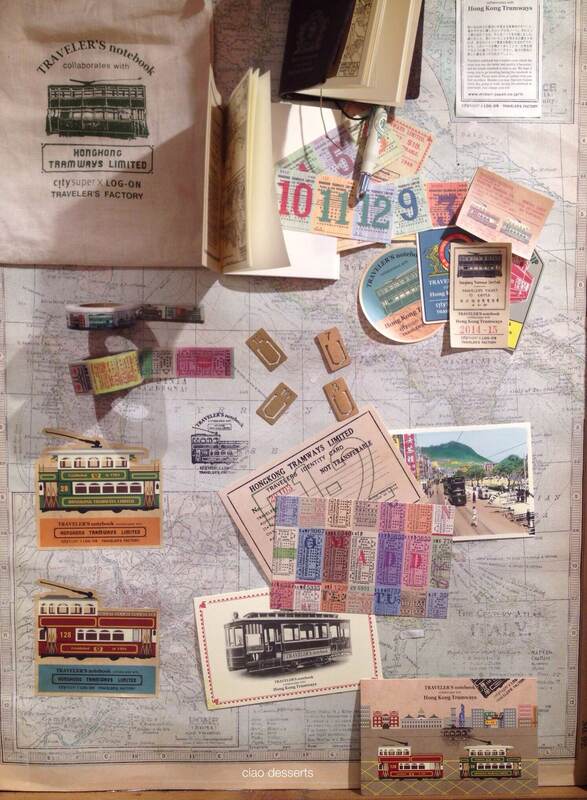 There are nine items in this collection; in addition to postcards, stickers, washi tape and the notebooks, the Hong Kong Tramways line also had their own cotton drawstring bag. And a die cut Octopus Card! One important reason for my trip here was to collect some stamps for my friend Peggy. Patrick and his team designed three self-inking stamps to celebrate this line. 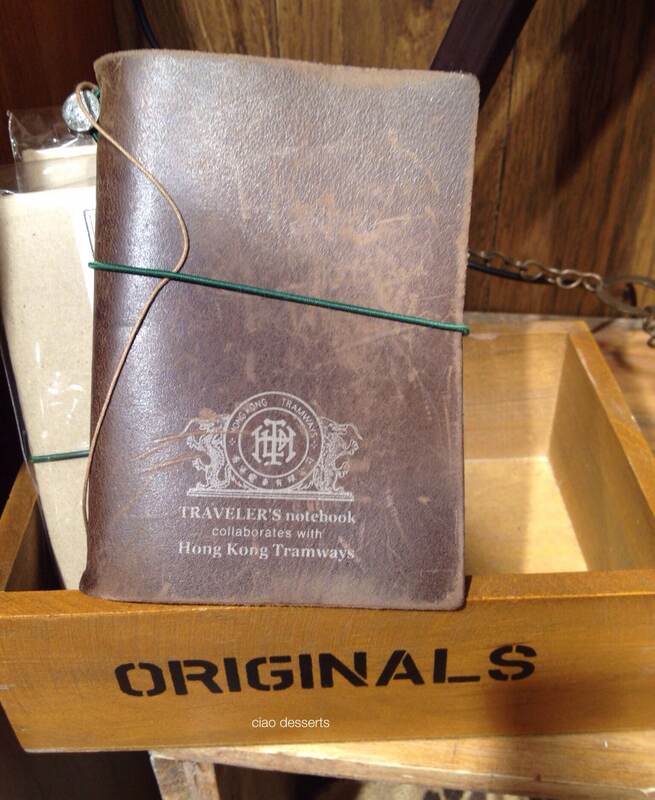 You can see the complete line of products at the official Traveler’s Notebook site. The site is in Japanese, but there are lovely photos there that are worth a look. The lady at working at the front counter was so nice about finding me the stamps. I brought a notebook with me and stamped a few to take home for Peggy’s collection. Afterwards, I had a leisurely stroll through the rest of the store. 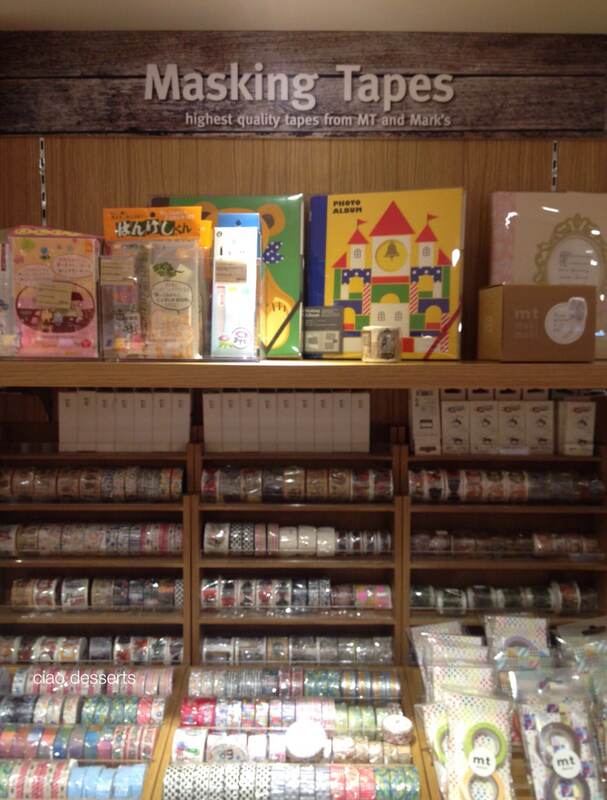 There was also another display about gifts and packaging and origami. 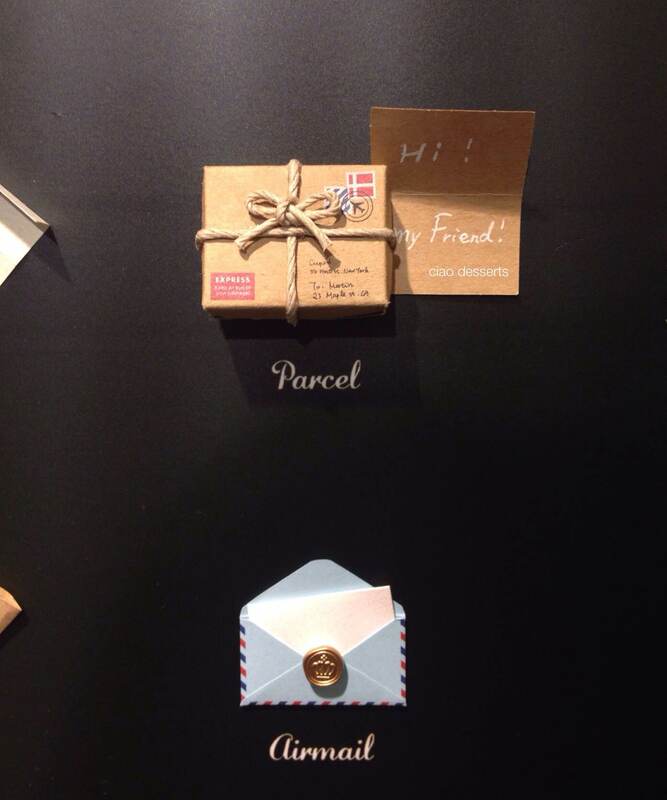 I love, love, love these miniature present toppers by who else, but the ingenious Midori? From the display, I guessed the idea is that you wrap a gift, and in addition to, or instead of a bow, you add one of these on the box. Although, I would be happy enough with just the little box topper. So. Adorable. This tiny parcel definitely made my heart skip a beat. And that envelope with the mini wax seal? Sigh. I was feeling a little lightheaded from all the adorableness in front of me. Despite the fact that it was late afternoon on a weekday, Simply Life was packed. However, even though the waiters were rushed off their feet, they were still really polite and friendly. I ordered a set lunch, which consisted of a glass of their homemade iced tea (delicious!) 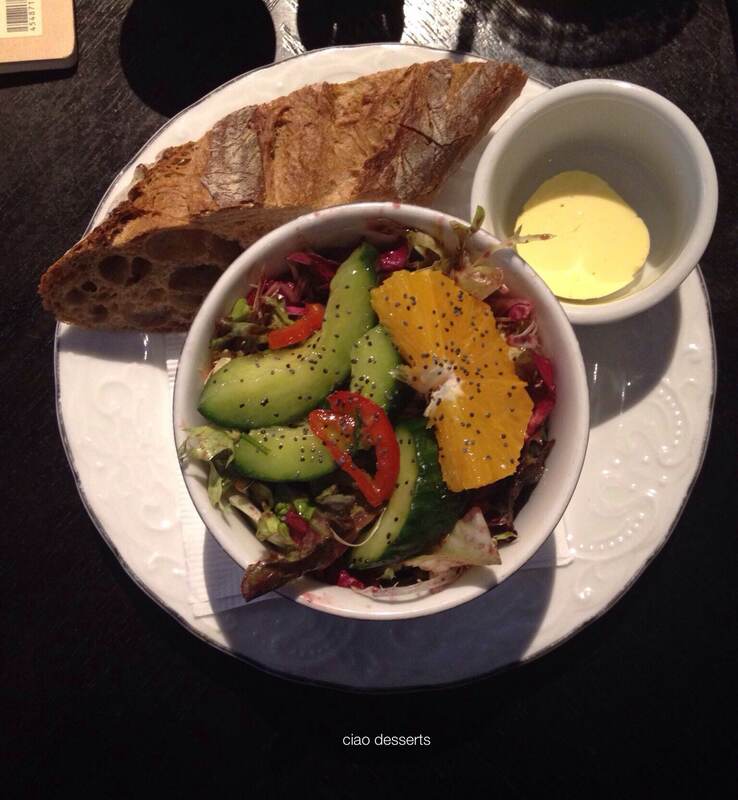 salad and a slice of their handmade bread to start. The salad was fresh, and included a lively combination of greens, tomatoes, English cucumber slices and orange wedges. The wedge of bread was also crusty and crunchy in all the right places. Another detail was that the butter was perfectly soft and spreadable. Again, a tiny, but very important detail. I chose their handmade pasta for my main course. According to their website, Simply Life makes their pasta fresh everyday. It was indeed fresh, and cooked perfectly. The sauce was lovely too; slightly spicy, with generous slices of sausage. The atmosphere at Simply Life was bustling, but not frenetic. It was just a pleasant hum of activity, of people eating, chatting and enjoying their food, and waiters walking efficiently from table to table. I also ordered a cup of coffee at the end of my lunch, and I was pleasantly surprised to see how pretty the cup and saucer was. It was nice to sit there and eat a leisurely lunch during the middle of the week. 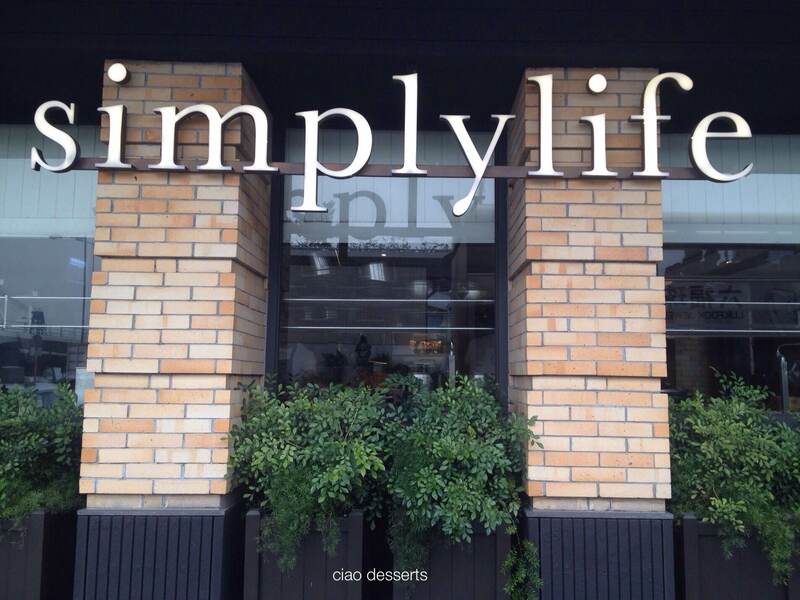 The portions at Simply Life were perfectly sized,and the ingredients were fresh and simple. And, I’ll sign off this post with a quote from their website, “Enjoy the little things, for one day you may look back and realise they were the big things” Robert Brault. They also have an online magazine, which I hope they will keep updating. 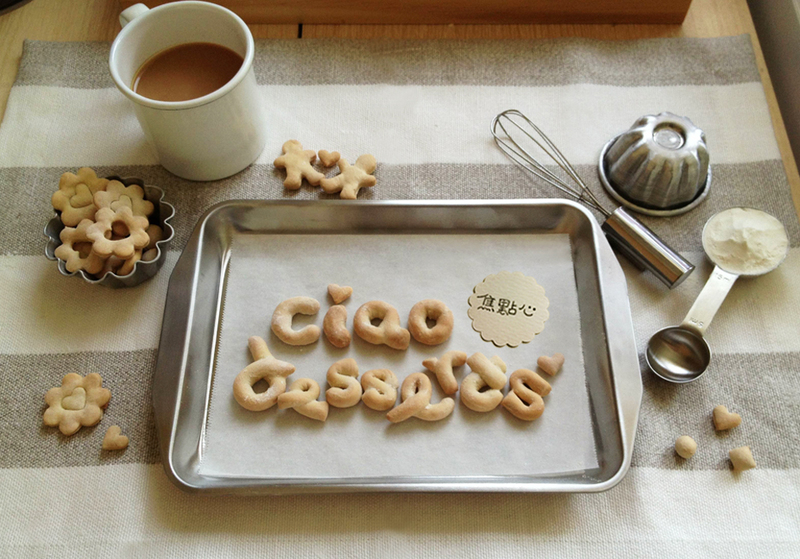 This entry was posted in Uncategorized and tagged afternoon tea, China, city super, coffee cups, handmade, Handmade Pasta, home, Hong Kong, Log-On, Midori Traveler's Notebook, MT Tape, Occasions, Pasta, Simply Life, stationery. Bookmark the permalink. 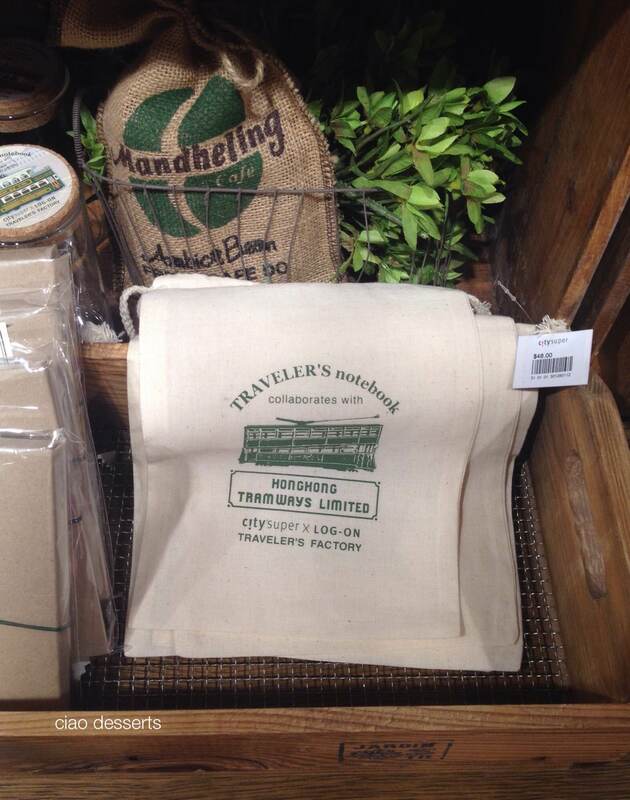 Is there a store that sells that trainways travelers notebook set online?